How to install an SSL Certificate on Node.js? In this article, you will find out how to install an SSL Certificate on Node.js. The SSL configuration requires all the certificate files including root, intermediate, and primary certificates. You should have these files in an archived folder received from your Certificate Authority. If you haven’t applied for an SSL Certificate yet, the first part of this guide explains how to generate a CSR code for Node.js. This step is necessary since the CSR (Certificate Signing request) contains your contact details. After the installation, continue reading to discover interesting facts about Node.js history, as well as the best place online where you can get an SSL certificate for your Node.js platform. 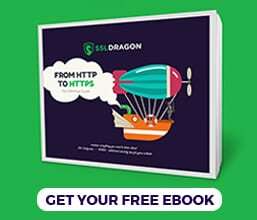 Where to buy an SSL Certificate for Node.js? To generate the CSR, we’re going to use the OpenSSL utility. Usually, OpenSSL should be available on your server, but if it’s not, you can download it from here. Along with the CSR, the OpenSSL utility will also create your private key (yourdomain.key). Save and store it in a safe place. You will need it during the SSL configuration. You need to replace the parts in bold with your corresponding information. Test your SSL installation for potential errors or vulnerabilities using one of these SSL checker tools. Node.js is a free open-source server environment that runs on various platforms including Linux, Unix, Windows, Mac OS X and executes JavaScrpit code outside of a browser. The original author of Node.js is Ryan Dahl, an American software engineer. Dahl’s inspiration to create Node.js came up after seeing a file upload progress bar on Flickr. Initially, Dahl named its project Web.js because it was just an alternative for Apache. Later, when the project grew beyond the server library into a versatile framework, Dhal renamed it Node.js. Below you’ll find the latest Node.js releases, still receiving support. 10.x (Dubnium) – released in 2018, it has active support until April 2020, and maintenance support until April 2021. 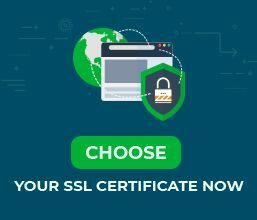 To help you select the ideal SSL certificate, we created a couple of exclusive SSL tools. Our SSL Wizard does the SSL searching for you and recommends the best SSL deal for your online project. On the other hand, the Advanced Certificate Filter sorts and compares different SSL certificates by price, validation, and features, so you have the complete picture when making the final decision.